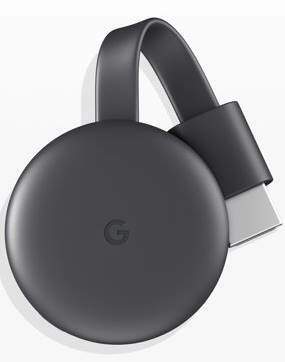 As Google stopped selling the 2nd gen Chromecast, you will get the latest Chromecast 2018 if you purchase the Chromecasr from now on. The new features discussed in this post are “new” to Chromecast 2015 (2nd gen Chromecast) owners. If you are new to Chromecast, or currently own the first generation of Chromecast, you may check this guide first. Compared to the 2nd generation of Chromecast (Chromecast), Chromecast 2018 has the following new features and improvements. Google claims the 3rd gen Chromecast hardware is 15% faster than the 2nd gen. It is hard to verify because very few owners complained about the hardware speed. Most of the time, the speed is limited by your internet connection. The major improvement we somewhat felt is the connection stability. Chromecast 2018 can maintain a better WiFi connection (and therefore smoother streaming) at 2.4GHz when the WiFi signal is weak. Overall, there are no dramatic improvements from Chromecast 2015 to Chromecast 2018. But if you are using the first gen Chromecast, you will see significant improvements because Chromecast 2015 (2nd gen) is a major. Only two colours are available: black or charcoal. No red option, no yellow option. Plain (and maybe boring) design with a G logo. But some users may like the simplicity. Anyway, Chromecast most of the time stays behind a TV. The design may be not so important. No magnet on the HDMI cable. So the new Chromecast 2018 will be hanging in the air for most setups. Basically, the design of Chromecast 2018 is a step back for some users. The first generation Chromecast supports 1080p at 24fps. The second generation Chromecast (Chromecast 2015) supports 1080p @30fps and 720p @60fps. Now the third generation Chromecast (Chromecast) supports 1080p@60fps. Of course, 4K or HDR support is still only available in Chromecast Ultra. It is still not clear how the Bluetooth support will be used in Chromecast 2018. Up to now, Bluetooth support is not enabled in Google Home app yet. Please note, as adding Bluetooth support requires some sorts of approval from FCC. Chromecast 2015 and the first generation Chromecast will NOT get Bluetooth support although it can be enabled through a firmware update. Multiroom group playback is a feature of Chromecast Audio and Google Home devices. Google announced multiroom playback support will be available for Chromecast 2018 later this year (2018). Very likely, all old Chromecast devices (1st and 2nd gen Chromecast, and Chromecast Ultra) will get this feature as well. Should you upgrade to the new Chromecast 2018 (3rd gen of Chromecast)? Whether you should upgrade to the Chromecast 2018 or not depends on what you have now. If you are using a Chromecast 2015 (2nd generation Chroemcast), you may skip Chromecast 2018. Bluetooth support is unclear. 1080p @60fps support is not so important. So, instead of spending $35, you may hold the money back a while, or double the budget to get a Chromecast Ultra. If you are using the first generation Chromecast, you SHOULD upgrade to Chromecast 2018. Faster connection and faster hardware can justify the $35 investment. If you are not using any Chromecast devices, your choice would be Chromecast 2018 ($35) or Chromecast Ultra ($69). If budget allows, I would suggest you get a Chromecast Ultra. If you are using a Chromecast Ultra, you should not downgrade. Please note, Chromecast 2018 works like other Chromecast devices exactly the same way. For example, you can stream internet contents, as well as stream local content. The most popular media player VLC now fully supports Chromecast on both Windows and Android. All Chromecast devices and Google Home devices are controlled by Google Home app. So, the difference among Chromecast, Chromecast 2015, Chromecast 2018 and Chromecast 2018 lies many on hardware capabilities. 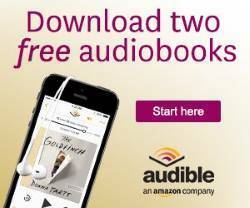 You can get the new Chromcast 2018 in Google store or Walmart. How about the new generation of Chromecast Ultra (Chromecast Ultra 2018) and Chromecast Audio (Chromecast Audio 2018)? Google did not update Chromecast Ultra and Chromecast Audio this year. So, there is no Chromecast Ultra 2018 or Chromecast Audio 2018. Google very likely will update them in 2019 or in 2020. Do you know the new features and improvements in Chromecast 2018 (3rd gen of Chromecast)? Do you know which Chromecast device you should get now? If you have any questions or encounter any problems on the new Chromecast (3rd gen, 2018), or have questions about choosing a Chromecast device, please let us know in the comment box below.